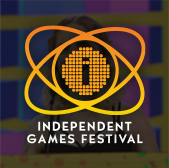 A day before the GDC Online early deadline, the major October 5th-8th Austin-based event has added track keynotes from Blizzard's Greg Canessa (on Battle.net), Playdom's Raph Koster (on social mechanics), and Bigpoint's Heiko Hubertz (on the rise of Europe in online gaming). The Austin, Texas based GDC Online conference -- formerly known as GDC Austin -- is sharply focused on the development of online games, including free-to-play titles, social network games, and traditional MMOs, with a veteran online game industry advisory board evaluating and selecting the lectures. There are now more than 120 panels, lectures and tutorials currently scheduled for the October 5th-8th event -- and following the announcement of a keynote from Civilization II designer and now Zynga chief game designer Brian Reynolds (FrontierVille), three track keynotes are debuting. - In a production track keynote called 'Battle.net: A Postmortem', Blizzard's Battle.net project director Greg Canessa and technical director Matt Versluys will present an extremely rare lecture from the World Of Warcraft and Starcraft II creators, "sharing lessons learned from building and launching the new iteration of an online game service that connects and powers all Blizzard titles." 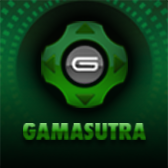 - Playdom's VP of creative design Raph Koster -- a stalwart of online game design from Ultima Online through Star Wars Galaxies to his current work in social games -- presents a design track keynote, 'Classic Social Mechanics: The Engines Behind Everything Multiplayer'. He explains: "Many lessons are available to us from both anthropology and the history of games that demonstrate that sometimes, social mechanics are just old wine in new bottles", looking at underlying mechanics and principles that drive sociable gameplay in everything from Facebook games to sports. - Major online game firm Bigpoint's CEO and founder Heiko Hubertz will discuss 'Europe: The Next Big Thing in Gaming' in his business track keynote. Hubertz, whose firm is working on the Battlestar Galactica MMO and has already built up a powerhouse European presence through browser games, outside of the 'hot' social network game market, explains how Europe "offers lucrative opportunities to global-minded... studios looking to significantly broaden their communities of players, particularly for those developing browser-based games outside Facebook." These lectures join just-debuted talks with lessons from APB, Habbo and even Cow Clicker, with a full set of highlighted lectures including talks from Relic, Sony Online, Carbine, KingsIsle, IMVU, Disney, Playdom, BioWare Austin, Hangout Industries, Broken Bulb Studios, CCP, Gaia Online, Playfish, InstantAction, Ubisoft and a host of other notable companies at the leading worldwide online game-specific conference. 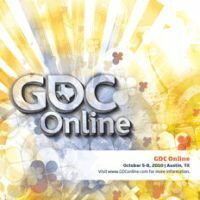 GDC Online will take place October 5-8, 2010 at the Austin Convention Center in Austin, Texas. 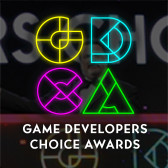 To learn more about lectures across all tracks and summits for the event, for which reduced-rated registration is only open until Wednesday, September 1st, please visit the GDC Online's official website.